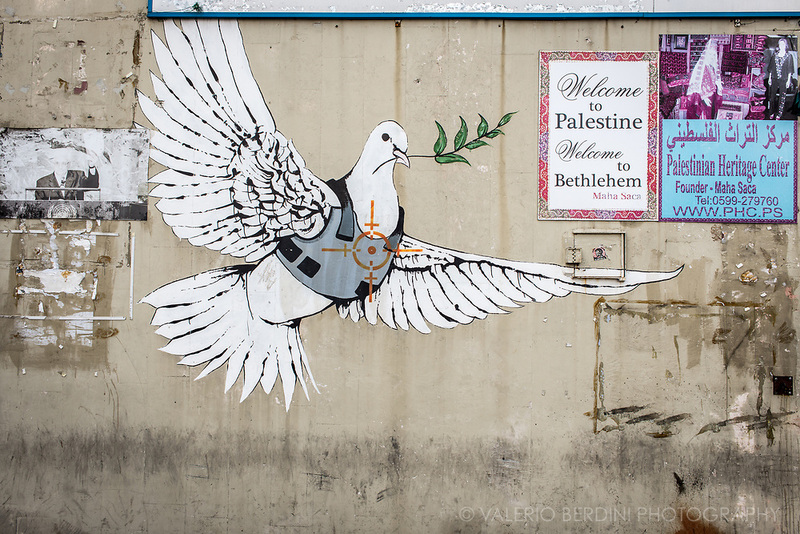 Located on a building in Bethlehem, this piece of urban art is accredited to Banksy and perhaps several other street artists. The dove, complete with an armored vest and bull's-eye heart target, makes a tongue-in-cheek comment about peace. What better way to display a political comment about the unstable peace in the area than to depict the bearer of peace"the dove"in a precarious situation?